— “If you want to do well in your exams, especially maths, don’t smoke dope” – this is how The Guardian sums up the results of a research carried out at Maastricht University. The research has shown that the academic performance of students who are no longer legally permitted to buy cannabis notably increased. Such results caused a great deal of controversy, fuelling the ongoing discussion concerning potential negative effect of cannabis consumption on academic performance. So what are AUC students’ thoughts of the issue? On 16th of December, 2010 Court of Justice of the European Union passed a local ban on the sale of cannabis to non-holders of Dutch, German or Belgian citizenship, which resulted in the limited access for tourists and international students to local coffee shops. The law was soon alleviated, but the economists Olivier Marie and Ulf Zölitz used this time to carry out a research showing that students who could no longer legally buy cannabis were 5% more likely to pass their courses, while low performers’ chances grew 7.6%. Greater positive change was detected in the fields that require numerical/mathematical skills. Marie claimed that these findings should be used to raise awareness among students. Questions that have been raised is whether students are able to manage their smoking habits and deal with the workload of higher education. A logical step would be to ask students themselves. In a survey conducted among Amsterdam University College students, 30% out of 181 respondents self-reported that they are regular marijuana smokers, while 20% reported that they smoke occasionally. The numbers may seem quite high, but there is only a minor difference in comparison with a similar survey carried out among students in New York, where 28% reported daily or weekly use and 39% occasional use. To some students these results did not come as a surprise: “I would say quite a few AUC students are regular smokers”, says Eloise Martin, a third-year AUC student. Amsterdam University College is located in the capital of the Netherlands, a city that is well known for its tolerant attitude towards cannabis. 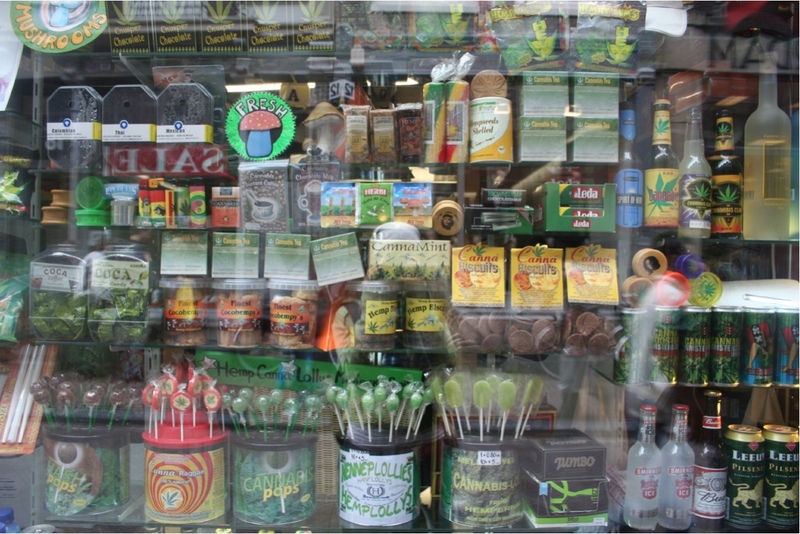 ‘Wiet’ culture in the city of Amsterdam has been growing ever since the legalization of use and possession of small amounts of cannabis in the 1970s. 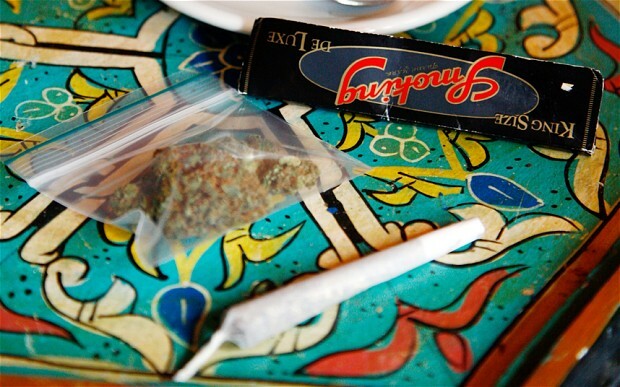 In early July 2014, 183 coffee shops were registered in Amsterdam, offering almost unlimited access to marijuana, restricted only by age limit. But even here, in one of the European so-called Cities of Sin, students seem to be quite aware of the consequences that cannabis consumption can potentially cause. 8.9% of AUC students self-reported negative changes in their academic performance due to marijuana usage. As for the positive changes, the percentage is even lower – 2.6%. For a college with a student population of less than 1000, almost 9% is quite a high result. Aga Godorowska, another second-year AUC student expresses a similar take: “It [marijuana] can f–k up your motivation – you stop freaking out about deadlines so much, which is good, but you may end up being too relaxed”. Most of them, however, link it to regular users’ inability to manage their habit, ending up skipping classes and experiencing minor memory and concentration issues. “I think it’s different for different people,” says Eloise, “It just depends on the individual’s self discipline and intention with smoking weed”. Others mention that the negative effect on performance could be a result of pre-existing mental problems enhanced by marijuana: “If the person cannot regulate it or has other mental problems that get harder to handle by smoking,” says Erika, another second-year February student.”I think most people do not realize that daily use is classified as substance abuse and that this can have negative long-term implications for their memory skills and cognitive abilities.” says a third-year student who wishes to remain anonymous. There are studies that partly confirm this view. Tetrahydrocannabinol (THC) the main psychoactive ingredient of marijuana can produce memory impairments that intensify with larger dosing or regular, long-term use. Negative long-term consequences are mostly evident in cases when regular marijuana consumption starts at a young age. Other studies, however, suggest that chronic users tend to develop tolerance towards marijuana. These studies, however, need some further development, admits Matthew Smith, an assistant professor of psychiatry and behavioural sciences at Northwestern University. So far, scientific findings appear to show different results, making it had to draw any conclusion. This, however, brings the discussion to another important point: all of these things are as true for cannabis as they are true for alcohol, which doesn’t appear to receive as much controversy that surrounds marijuana. “If you were to drink every night you would also harm your academic performance, much more in fact,” says Eloise. AUC students reported that another common reason for marijuana use is that it works as a substitute for alcohol (26.3%). The absence of hangovers and low risk of overdose are among the primary reasons. And there are studies that confirm that this substitution can be beneficial. In 2008, British Think Tank the Berkley Foundation released a Cannabis Commission report that stated that health risks associated with alcohol are more alarming than that of cannabis. Indeed, there are still plenty of reasons for students to continue smoking. Marie and Zölitz concluded that the greater positive effect of marijuana ban was detected in the fields that require numerical/mathematical skills. Although these results are somewhat alarming, they seem to suggest that Humanities students may experience far less issues associated with marijuana use, if any. Many AUC students’ responses expressed the same take on the issue: “I think weed can have a positive effect on humanities students’ performance, as for hard-core science… I wouldn’t recommend it.” says Thomas Bavin, a third-year AUC student. Another student Adel expresses a similar opinion: “I believe that in the humanities, marijuana has a tremendously positive effect,” she says, “but it does depend on the individual.” These responses could be linked to one of the primary reasons as to why AUC students continue their marijuana consumption. For many (22.4%) it is the belief that marijuana unlocks their creativity. “If you want to increase your creativity, for example, it [marijuana] can be a wonderful instrumental tool,” says Eloise. There are plenty of examples of successful people who claimed they use marijuana for creative awakening. Notably Steve Jobs, in his interview to DoD agents, stated that he used to smoke marijuana and hashish for relaxation and creative awakening. In cannabis related studies done at the Instituto Nacional de Psiquiatría Ramón de la Fuente, Mexico and John Hopkins University, ‘creative awakening’ is linked to high frontal lobe activity, caused by increasing cerebral blood flow (CBF) to the area that tends to reach maximum effect after 30 minutes of marijuana consumption.”All my best essay ideas I owe to weed-induced creativity. Especially for humanities students, weed is helpful in thinking outside the box,” says Aga. Other students mention stress relief as another positive effect (35.3%). Constant deadlines can cause a lot of stress, which is often successfully ‘cured’ by a joint. “It [marijuana] helps me relax, so that I get enough rest not to get stressed and ‘blocked’,” says Erika. Evi Hadjipieri, another third-year AUC student seems to agree with that: “I believe it’s more of a drug you do for chilling,” she says. Overall, the general attitude of the AUC community towards marijuana consumption and its potential effects on academic performance are quite similar in their nature: it is only beneficial when you know how to deal with it. A lot of studies that suggest harmful effects base their research on heavy users, unable to manage their habit.